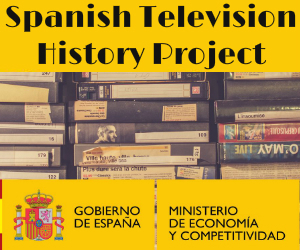 History of programming and television fiction programs in Spain (generalist channel): From deregulation to analog blackout, 1990-2010 (Ministry of Economy and Competitiveness). Social construction of women in television fiction and web 2.0: prototypes, reception and feedback (Ministry of Science and Innovation). Analysis of youth identity construction in television fiction and new technologies (Ministry of Science and Innovation). Social construction of women in television fiction: representations, reception and interaction through web 2.0. (Generalitat of Catalonia). The representation of young people in Catalan and Spanish television fiction: construction of identities, attribution of social roles and correspondence with reality (Generalitat of Catalonia). Obitel Spain: Ibero-American Television Observatory dedicated to the analysis of the production, programming and reception of the fictional contents of Ibero-America. Research on television fiction consumption by young people. Ethnographic study in institutes of Catalonia through the completion of 1,400 closed questionnaires (Autonomous University of Barcelona). Micro-Europe: Radio Campus Network (EU).